The best way to compliment your Jeep is with a set of premium wheels. The Vapor Wheel in Black and Machined with Dark Tint offer a unique look that can take your Wrangler or late model Grand Cherokee to the next level. With an aluminum alloy construction and rugged finish, these wheels are highly corrosion resistant and will continue to make your Jeep stand out for years to come. Alloy Wheel: Fuel constructs their wheels from light weight aluminum alloy designed for strength and corrosion resistance. 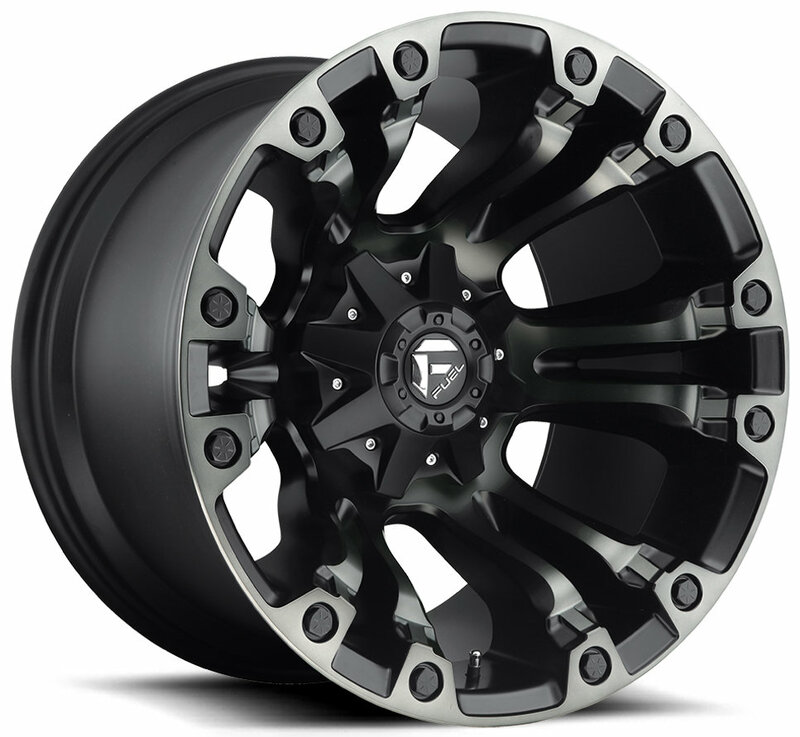 Elegant Appearance: These wheels are finished in matte black with dark tinted machined accents. Center Cap Included: Each Vapor wheel comes with a Fuel logo center cap.